Despite an analysis that highlights the potential for billions of dollars worth of onshore gas in Nova Scotia, Premier Stephen McNeil says his government has no intention of lifting its ban on hydraulic fracturing. The Nova Scotia Onshore Petroleum Atlas lists the economic potential at between US$20-billion and US$60-billion. 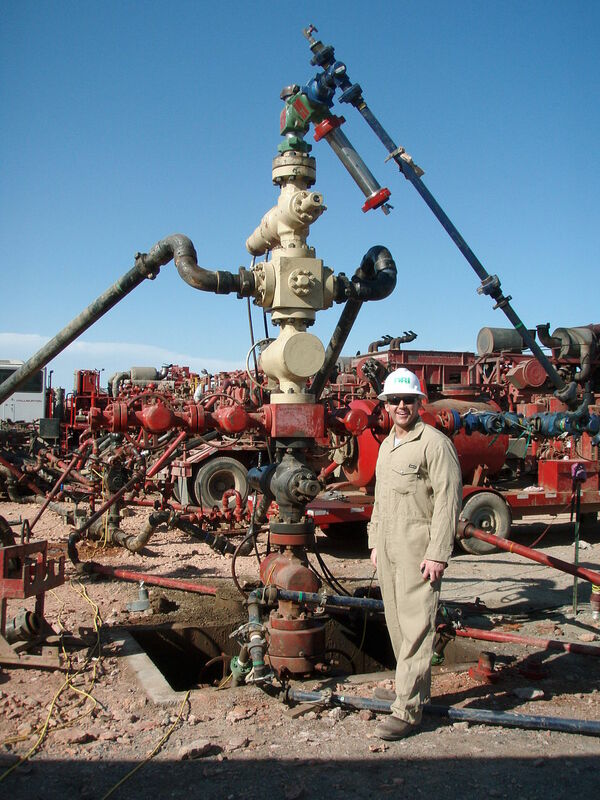 A well head where fluids are injected into the ground for hydraulic fracturing (fracking). Photo by Joshua Doubek via Wikimedia Commons. The analysis, which began in 2013 and was recently released by the Energy Department, says that based on available geological data, the Windsor and Cumberland sub-basins are the areas that hold the most potential for hydrocarbons. But McNeil said Thursday that it’s simply one report that will give Nova Scotians a chance to discuss fracking and onshore gas exploration. The Liberals passed legislation banning fracking in 2014, but have not proclaimed it. McNeil said barring any new information, the government remains concerned about the potential impacts fracking could have on potable water tables given the province’s geology. Most of the potential, about US$40 billion, exists in shale gas which would require hydraulic fracturing to extract it. McNeil said he wasn’t concerned that the province is passing up an economic opportunity as offshore reserves of natural gas dwindle. The atlas estimates Nova Scotia is sitting on up to seven trillion cubic feet of hydrocarbons when conventional natural gas reserves are included. In spite of the government’s reassurances, a coalition of environmental groups issued a news release this week warning of the potential interest for lifting of the ban in light of the atlas findings. Stephen Thomas, energy campaign coordinator with the Ecology Action Centre, called the atlas a waste of “time, money and expertise” given the existing ban on fracking. “We need to move beyond fossil fuels and invest time and money in renewable energy development, improving energy efficiency, and meeting our climate targets in a way that benefits Nova Scotians and our growing green economy,” said Thomas. A study commissioned by the government and released in 2014 said fracking shouldn’t be allowed for the foreseeable future. The report, by former Cape Breton University president David Wheeler, said more independent research was needed on health, environmental and economic impacts.